The Harry Potter series – from Professor Snape’s point of view. What was Snape really thinking during his last seven years? Can we ever know for certain? It turns out that we can. Through close reading of the Harry Potter series, Lorrie Kim shows that J.K. Rowling gave us everything we need to understand her most enigmatic character: his true loyalties, the nature of his magic, and the grudging magnificence of his love. Philadelphia Inquirer Q&A with Lorrie Kim, August 10, 2016. Author interview with Big Blue Marble Bookstore, July 30, 2016. 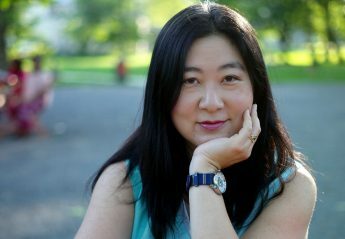 Listen to Lorrie Kim talk about Snape with the hosts of Book Jawn Podcast Episode 33, July 2016.